Studies have shown that 93 percent of what is believed about people in business is based upon visual messages, not on credentials or on the content of conversation. 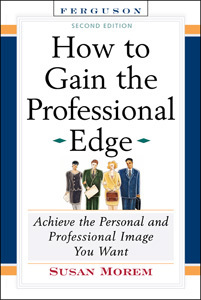 An invaluable resource for today's job market, How to Gain the Professional Edge, Second Edition helps readers answer a multitude of questions about behavior, attitude, and image to improve professionalism and open doors to advancement and career success. This edition has been expanded to include six new chapters, with topics covering technology, networking, handling stress, speaking up, self-promoting, likeability, staying healthy, making a difference, and much more. Do You Hear What You Are Not Saying? Perfect for young readers preparing to enter the job market or workers who want to hone their professionalism and advance their career, this informative book provides the tools, skills, and techniques to help people achieve their professional goals.